With HLOGA now more than 10 years in and lobbying activities under intense scrutiny, compliance mistakes can trigger catastrophic financial and criminal penalties. Each year violations and confusion on compliance continue. One practical guide provides authoritative answers to all your questions about lobbying under the Lobbying Disclosure Act of 1995 as amended by HLOGA. The Lobbying Compliance Handbook covers everything from the lobbying activities that require disclosure to the specific steps lobbying firms and associations must take to maintain the required records and paperwork certifications. Guidance on responding to letters from Department of Justice. Includes actual sample letters. Subscribe now to stay protected from ever missing an update or change with monthly email alerts and updates included in your purchase of the HLOGA manual. Ease compliance with up-to-date HLOGA answers- ready the moment you need them all year long. Organized for how you work by a full time practitioner who understands your real-world activities, processes and questions. Plus, it's written in plain English so you can be certain of exactly what the laws require and exactly how they apply to daily practices. The material in this manual isn’t “theory” — it’s ready-to-use guidance compiled from hands-on training sessions with over 1,000 practitioners in the last six months. For example, you can look up how the new gift rules apply to specific gifts. Updated You'll get monthly email alerts and updates on any changes in the law! With more than 30 years of experience in law, politics and public policy, Cleta Mitchell, a partner at Foley and Lardner’s Washington, DC, office was named a “Top Lawyer” by the Washingtonian. She advises on election and campaign finance law, and compliance issues related to lobbying, ethics, and financial disclosure. 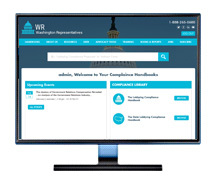 Working closely with Lobbyists.info, she has created a comprehensive and practical guide lobbying firms and groups can use to streamline compliance and certification — and protect themselves — all year long.